The 62nd edition of the BFI London Film Festival will take place between 10-21 October. The complete line up was announced on 30 August. I have yet to go through the entire line up, but here's the list of 8 feature films from the Arab world that will be screening at the festival. Will share more top picks soon. A hybrid documentary about a group of hotel staff reflecting on their life, hopes and dreams in a deserted Egyptian holiday resort. A.B. Shaky's debut feature film about a road movie which charts the friendship between a leper and a young orphan. Zain, a young boy from an impoverished family, sues his parents for having brought him into a world of such suffering and despair. Along the way, he forges an unlikely bond with a toddler, the child of an Ethiopian maid working illegally in Lebanon. 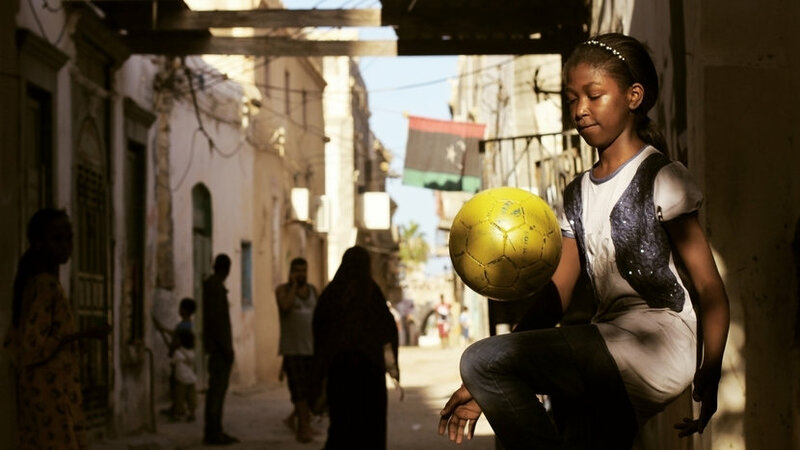 Filmed in the years since Libya’s 2011, it charters six years of Libya’s nascent women’s football scene – a journey never short of obstacles - celebrating the determination of an incredible team. Mahmoud Sabbagh's follow up to his successful Saudi rom-com Baraka Meets Baraka is described as a dark comedy exposing cultural hypocrisy about a middle-aged housewife who takes radical measures after finding our her husband will take a second, younger wife. hajooj kaka's follow up to the critically acclaimed 2014 documentary Beats of the Antonov is a romantic comedy-drama about Adnan, a revolutionary soldier, who revels in having shot down a MiG fighter plane with the beloved AK47 he calls Nancy. In fact, his affection for the gun is rivalled only by his love for long-suffering girlfriend Lina. When Adnan is late to return to his unit after taking some leave, his commander orders a round-up of deserters. Caught off guard in Lina’s company, Adnan makes off in a hurry, leaving his gun in her bedroom. Whilst on the run, he encounters Absi, another deserter, and together they hatch a plan to retrieve Adnan’s gun from Lina. A moving drama unfolds in war-torn Syria, where a woman travels to the outskirts of Damascus and witnesses the fate of her countrypeople. When Sami begins to suffer migraines, his parents’ concern for their withdrawn son increases. Their anguish forms the unnerving backbone of Mohamed Ben Attia’s astute drama, his follow up to the 2016 debut film Hedi.